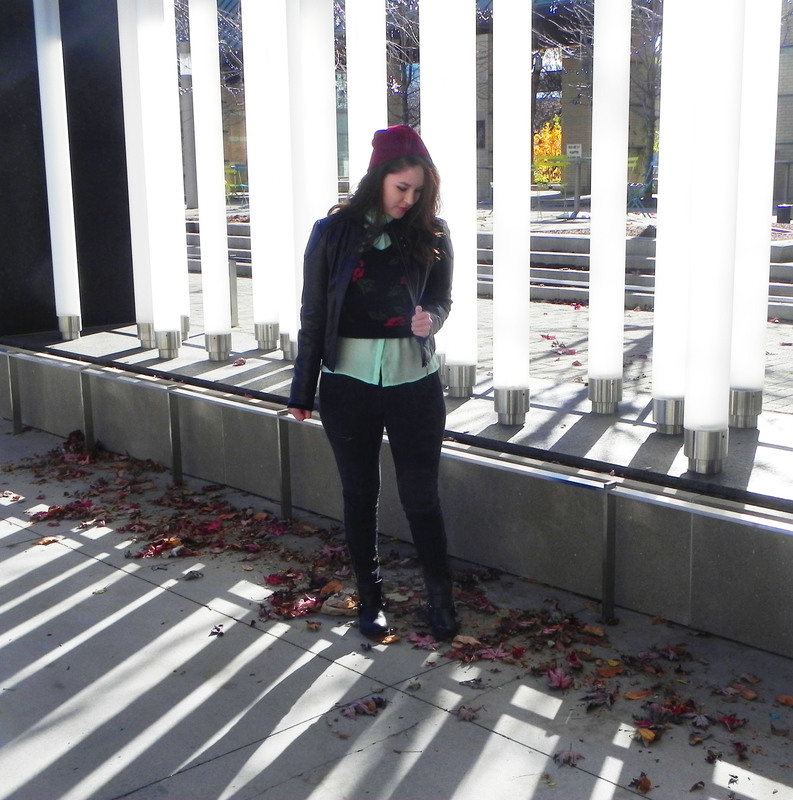 I hate the cold, but I love fall fashion. A big hip-hip-horray for: Beanie and leather jacket weather!! My absolute favourite way to dress. Below was my weekend outfit. 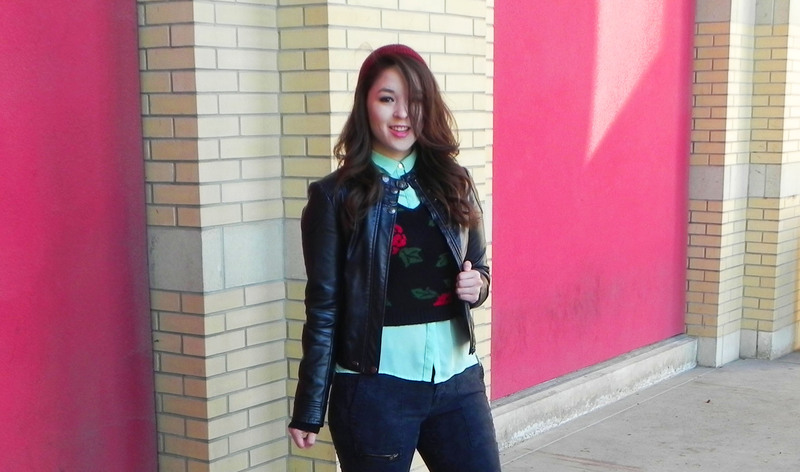 I started my outfit with such cute items: my floral sweater layered over my mint blouse. 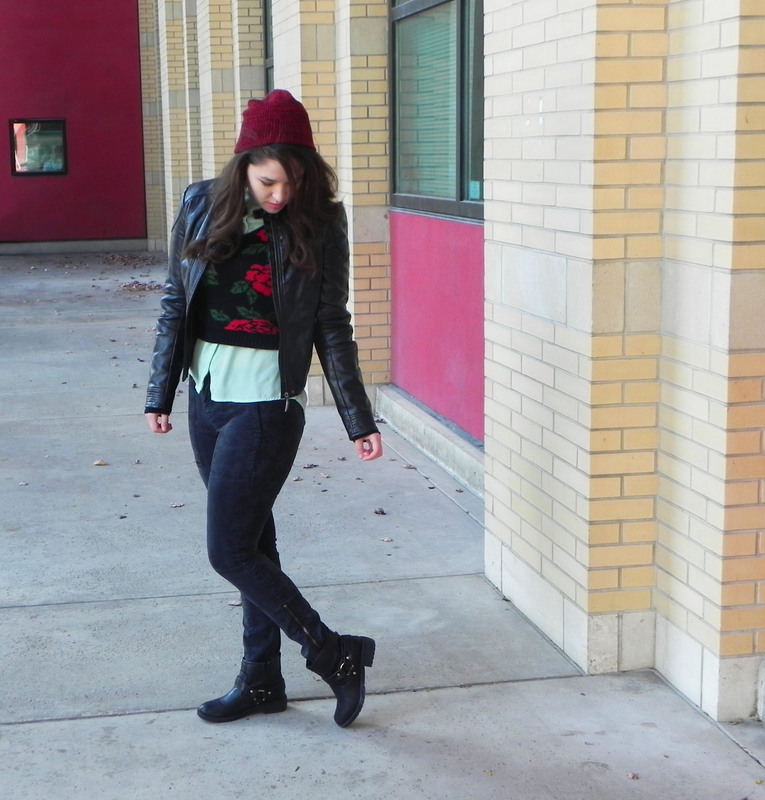 I added more edgy components such as my buckled booties, leather jacket and my man’s red beanie! These additions changed the whole look of the outfit. Comment below if you also love beanies! !